I cannot get over the colors here. I love the bright, happy colors and texture! That starburst pattern makes for a great texture for cleaning, and fun to look at to count how many stars you see! 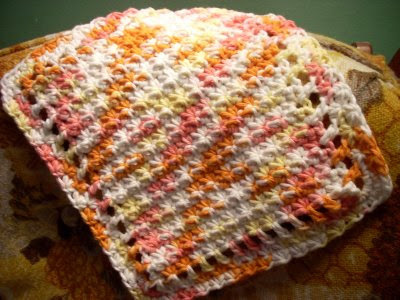 This dishcloth is one of my favorites! I love the deeply patterned texture. I also love the other dishcloth patterns also available on that site. So.... 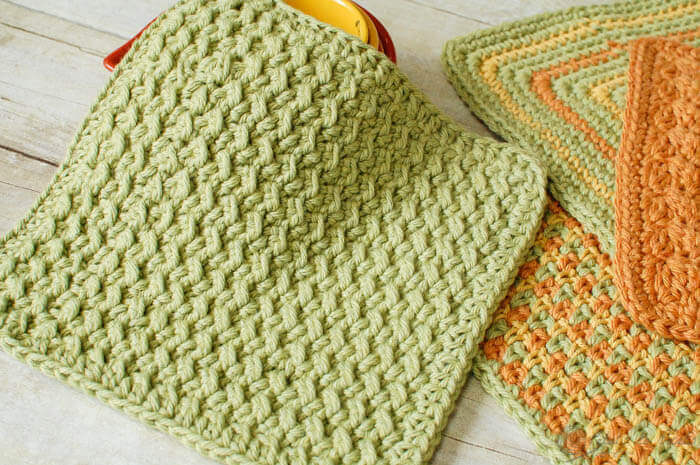 I hope you will reach out and find a neat textured dishcloth pattern and toss out the plain ol' single or double crochet stitch dishcloths. I gave a few options for you to try out, so get crocheting!